Chapter 11 bankruptcy can give businesses a chance to restructure debts, maintain control of operations and become profitable again. The following three examples briefly describe how businesses have pulled themselves back from the brink of failing by filing for Chapter 11. American Airlines: In late 2011, AMR Corporation was in serious financial trouble. AMR Corporation is the parent company of American Airlines. By October of 2011, the market value of the company was $727 million – very bad news if you own a major airline. AMR Corporation filed for Chapter 11 bankruptcy one month later. In December of 2013, AMR Corporation exited bankruptcy and merged with US Airways. The company is now known as American Airlines Group Inc (AAG). AAG had one of its most profitable years in 2014. Marvel Entertainment: Marvel Entertainment is the company responsible for The Avengers, Spiderman, Daredevil, Captain America, Iron Man and Deadpool – just to name a few examples. At the time of its Chapter 11 filing in 1996, Marvel had focused its business on comic books. Clearly, the company needed to find ways to diversify its earning potential. Movies were the answer to achieving this goal. Films based on the Marvel universe have netted billions of dollars in profits over the last two decades. In 2009, Disney bought Marvel for $4 billion. Six Flags: In the summer of 2009, Six Flags filed for Chapter 11 bankruptcy. At the time of its filing, Six Flags listed more than $2 billion in debts and revenue generated from its theme parks had plummeted by 24 percent. The company was even delisted from the NYSE (New York Stock Exchange). Under its Chapter 11 restructuring plan, Six Flags reduced its debt obligations. The company survived and found new ways to become profitable. Since its reorganization plan was approved in 2010, Six Flags has experienced consistent growth and is now considered more valuable than many of its rivals. When Should a Business File for Chapter 11? The companies listed on our top three list all have one aspect in common – they are all still businesses. In many ways, Chapter 11 is like a second chance. Businesses considering filing for Chapter 11 should consult with a bankruptcy attorney. By sitting down with an attorney and discussing the situation, businesses can discover whether filing for bankruptcy is the best solution. 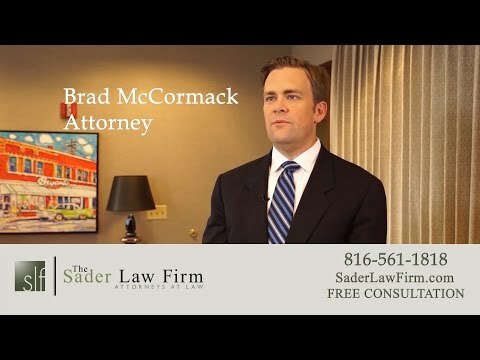 The Kansas City bankruptcy attorneys at The Sader Law Firm are dedicated to helping struggling businesses find the most beneficial debt relief strategies for their circumstances. ← How Can You Save Money on Health Care in Kansas City?